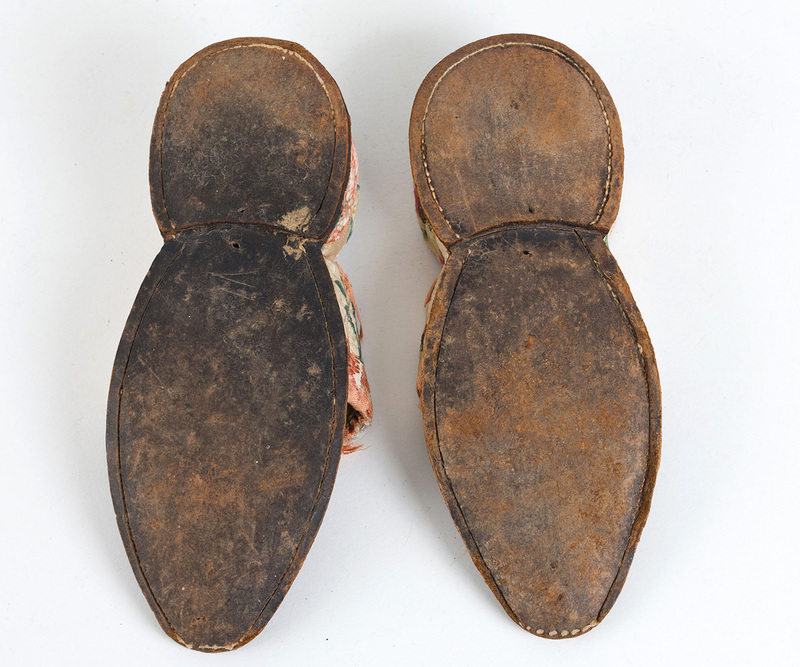 Pattens were overshoes meant to protect the wearer's regular shoes. This pair is more fashionable than practical. 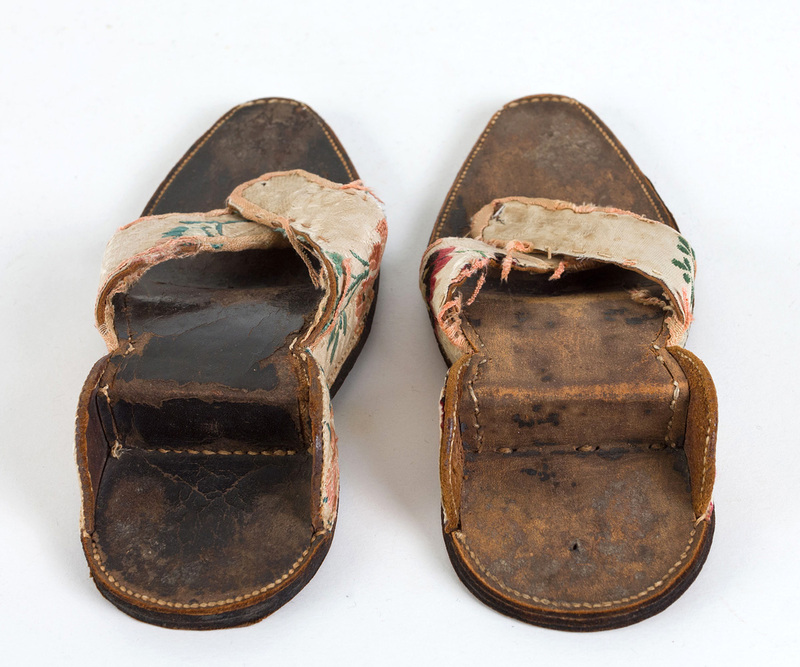 The thick leather soles of the pattens protected the heels and soles of the shoes. 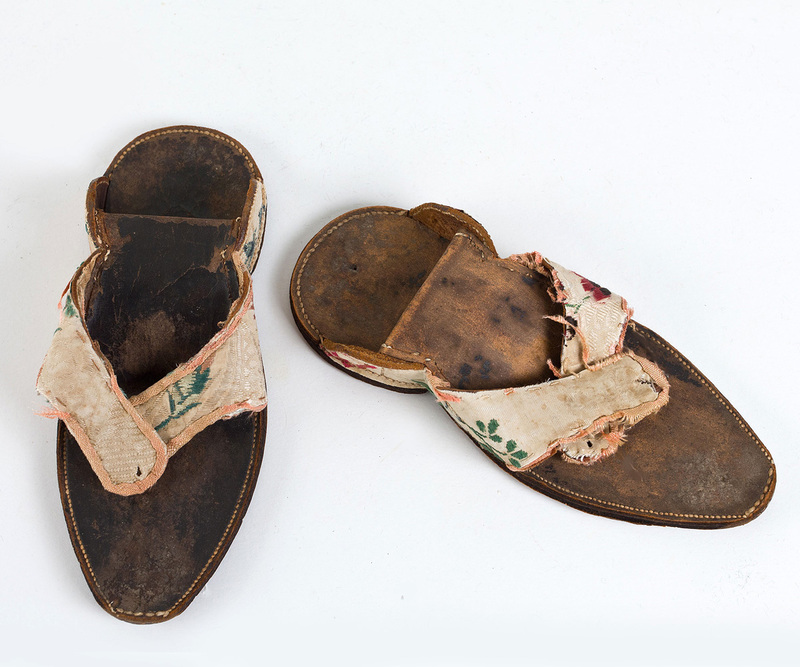 The silk brocade uppers were useful only to hold the shoes in place. 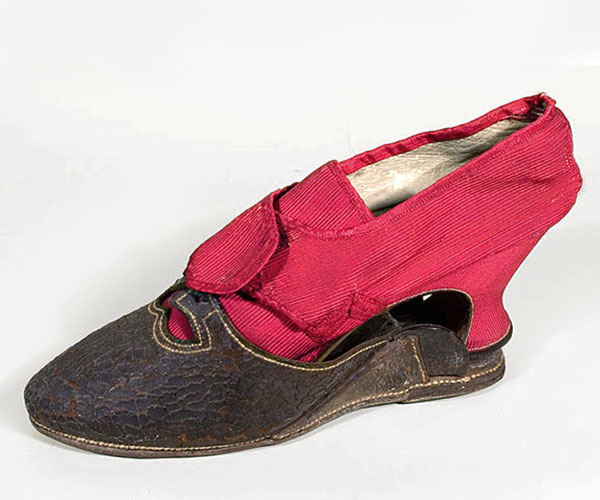 The picture below of a more utilitarian pair of pattens previously sold illustrates how the curved shoe heel fits over the wedge shaped sole. This type of wedge is a typical feature of Georgian pattens. 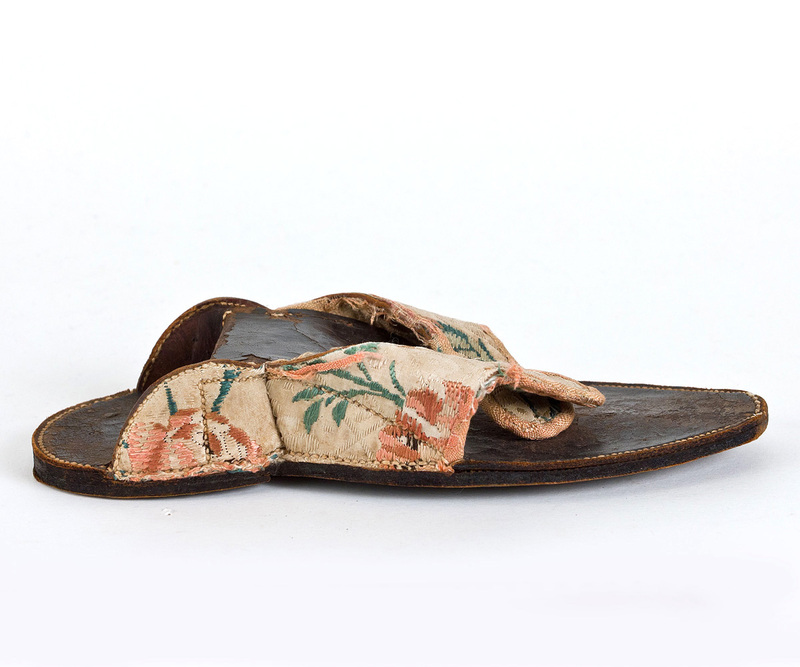 Our pattens were probably purchased with a matching pair of silk brocade shoes, although mixing-and-matching was fairly common. Pattens usually closed over shoes with fancy buckles, making a lavish display. The condition is very good. 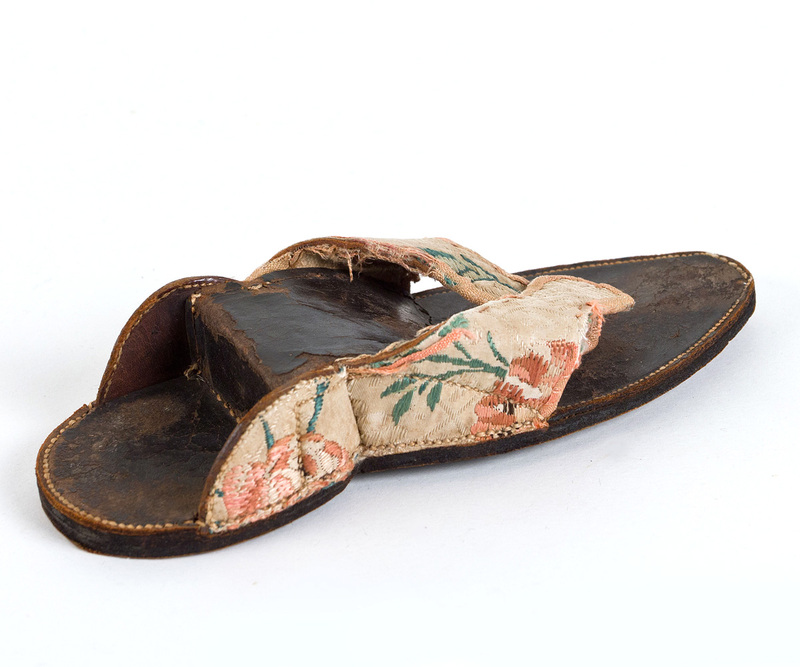 The dark finish has worn off one of the pattens; and the silk brocade uppers show wear. In perfect condition, they would be priced around $2500. I expect these overshoes will end up in the hands of a museum or major collector, their future cultural custodian. These delightful pattens partially succeed in the almost impossible task of recapturing a past hidden outside the realm of intellect but embedded in a particular antique piece. The pattens are 7 1/2" long from front to back.